Recently announced changes to the Building Code of Australia (BCA) call for significantly increased hearing loop coverage systems installed within public spaces. These spaces include Class 9b assembly buildings, judicatory venues and ticket booths or counters where the public are shielded from the service provider. This new legislation came into effect May 1, 2011. Under current BCA requirements, a loop is to cover a minimum of 15% of the floor area (equitably distributed). Under the new rules, this coverage is raised to a minimum of 80% (of the floor area served by an inbuilt amplification system). Hearing loop coverage requirements for other forms of hearing augmentation, such as those using Infra-Red receivers, are also laid out in the new document, with a minimum coverage of 95% required. The number of receivers required is also specified, based on various bracketed audience sizes. 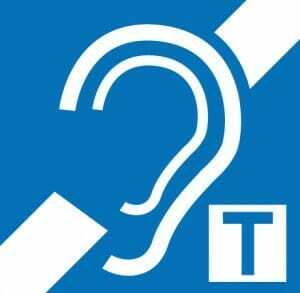 Hearing induction loop systems for large floor areas need to be carefully designed. Simple ‘perimeter loop’ layouts which work well for small rooms with timber floors are often not suitable for larger rooms. For example, loops installed in large rooms built upon concrete slabs can suffer field strength and frequency response losses due to the presence of structural steel reinforcement (or ‘reo’) laid within the slab. In order to provide an installed system which meets the applicable Australian Standards (AS1428 and AS60118.4-2007), greater attention needs to be given to the site data, loop design and implementation.